"Knitting has helped fill in my spare time. I've had the best time ever! You should try it!" My dish cloth is growing! Kids enjoy spending time in the store. I loved knitting as a little girl. Surprisingly, I learned from my uncle (boys can knit, too!) when I was about 7. It gave me confidence. It gave me an outlet and a way to express myself. It was extremely relaxing. I found it helped me to focus on a variety of other things while I focused on the stitches. A few years later, intrigued by the concept of using just a hook to craft, I taught myself to crochet using a book. I’ve been knitting and crocheting now for more than five decades, and to the current day it’s one of the skills that have brought me tremendous pleasure. 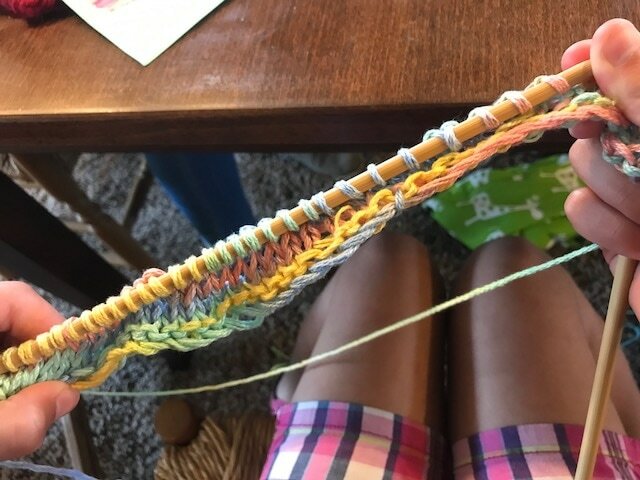 Besides being fun, it developed persistence, concentration, the ability to collaborate with others, discovering that you could "undo" a mistake and move forward — all things that I learned from knitting and later crocheting. There’s no better time to learn these centuries-old crafts than when you’re a child. 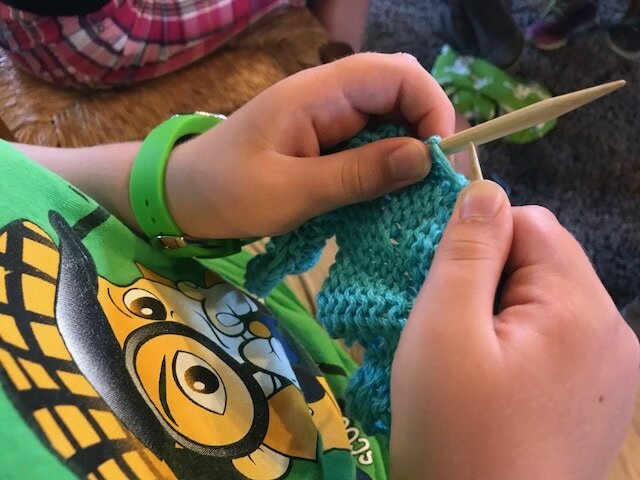 Both knitting and crocheting help fine-motor skills, hand-eye coordination and understanding basic math. They are thought to engage both sides of the brain at once and thus develop language, as well. 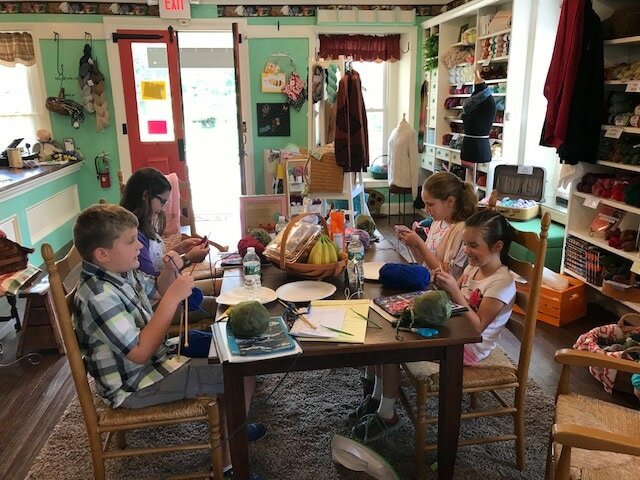 A classroom community of knitters or crocheters can mentor one another, share conversation while working productively, encourage one another, and enjoy the calming, yet challenging, task. That’s why I’m offering these classes to children -- no experience necessary. It undoubtedly enriched my life. Youngsters are finding it engaging and wonderful. You can see by their comments above that we have a terrific time together. Want details? Register easily online here. Class size is limited. Please "LIKE" us on Facebook by clicking here!